No charging of any kind, such as for delivery. No posts for alcohol or any living creatures. Wanted posts to borrow items are allowed, but return items promptly after use. Helensburgh Freegle will not become involved in any dispute that may arise because of a borrowed item not being returned. Does anyone have any paints suitable for outdoor use which they wouldn’t mind donating for our beach clean signage? We want to get more people involved as this is a serious issue that needs addressing. Any help or donations, will be greatly appreciated! Thank you in advance! We have dug these out from allotments over time and are looking for them to find a new home. Does anyone want to come and take a wheelbarrow or 4 of these to a good home? Let us know! Access is available next to a road where cars can be loaded up. 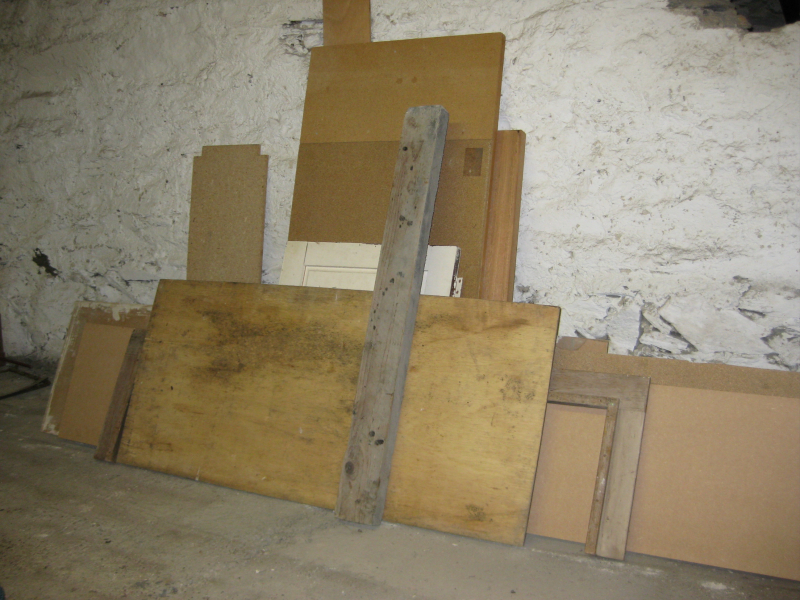 Clearing out our cellar - odd leftover bits of wood, some quite large. Only ask for this if you are able to take it away. 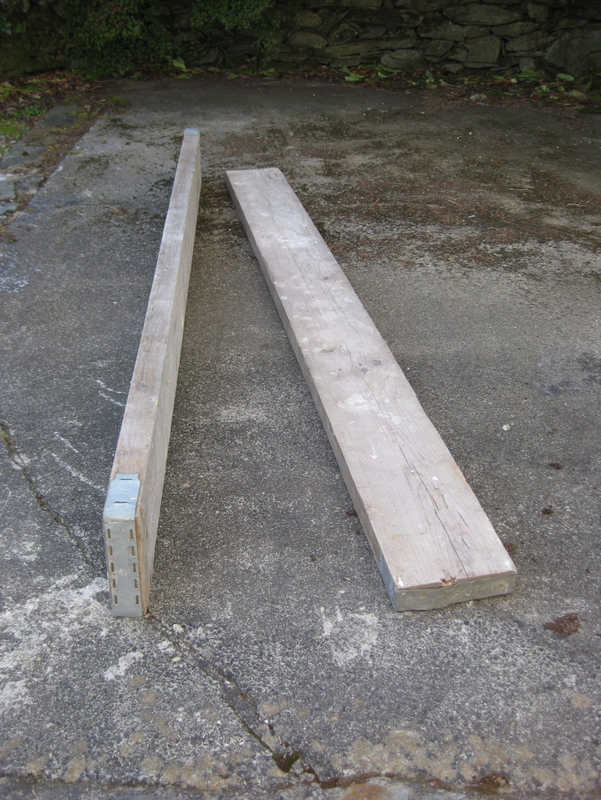 Pair of standard scaffold planks, much used and very heavy. They measure 8 feet long (2.45m) by 8.5 inches wide (22cm) by 2.5 inches deep (6cm). They are metal bound at the ends. Please do not ask for these unless you have suitable transport to take them away (we do not, and therefore cannot deliver). Hi everyone. Looking for a Belfast Sink. Condition not important as only to be used as a Garden Planter! Strong metal key safe with 4-digit PIN code (you can choose your own); ideal for an elderly relative ~ or for when you misplace your own door key! 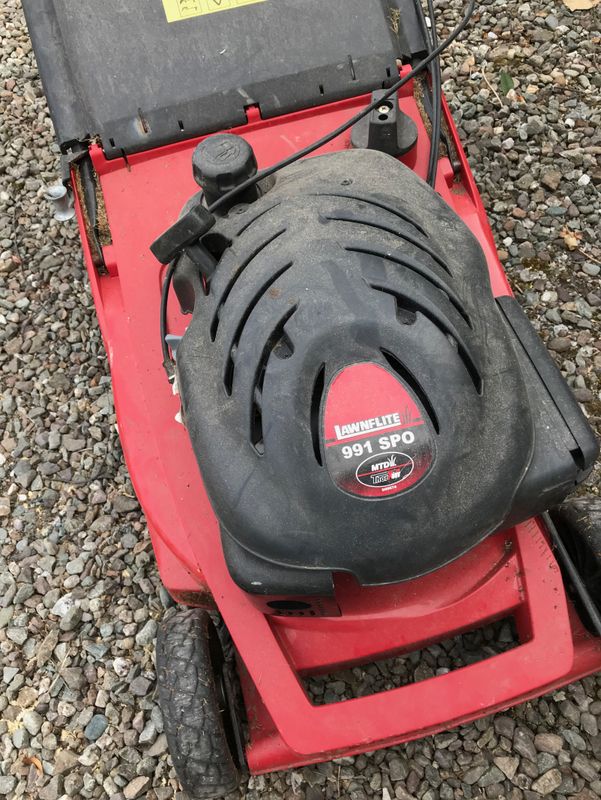 I have an 18" self-propelled petrol lawnmower. The engine is perfect and it cuts well. However, the height adjuster is broken and the drive belt needs adjusting. Also, the blade needs sharpening. Anyone who has the skill and time could quite easily repair it. 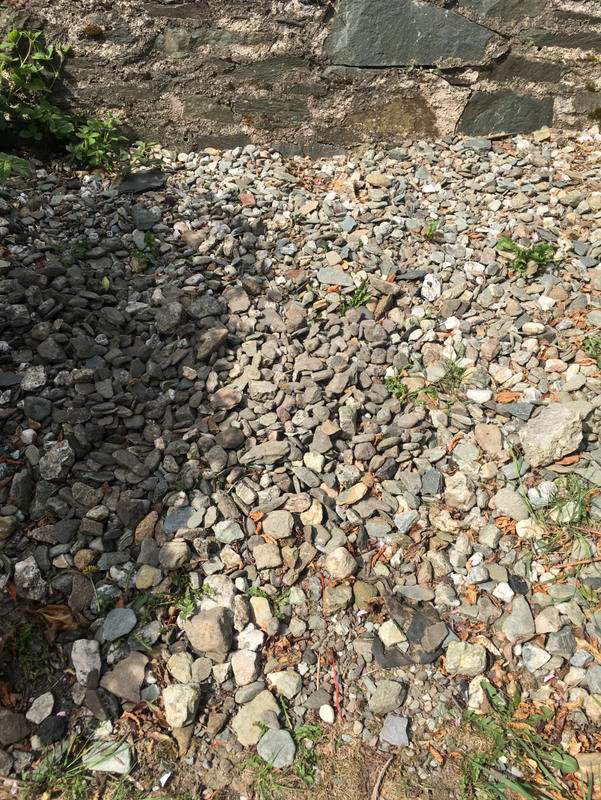 If so, you can collect it from Bridge of Weir. Also includes Instruction Manual, but without a power cable, aerial or aerial cable. This is a fully functional display unit removed from my yacht several years ago when the aerial became defective and couldn't be replaced. This would suit anyone who: a) has this system with a functioning aerial and would like a spare display or b) has a functioning aerial but no display unit or c) can get hold of a working aerial and cables. If you are interested, please contact Peter on 01436 842247. Looking for an under counter freezer Can collect. Well used but in working condition. 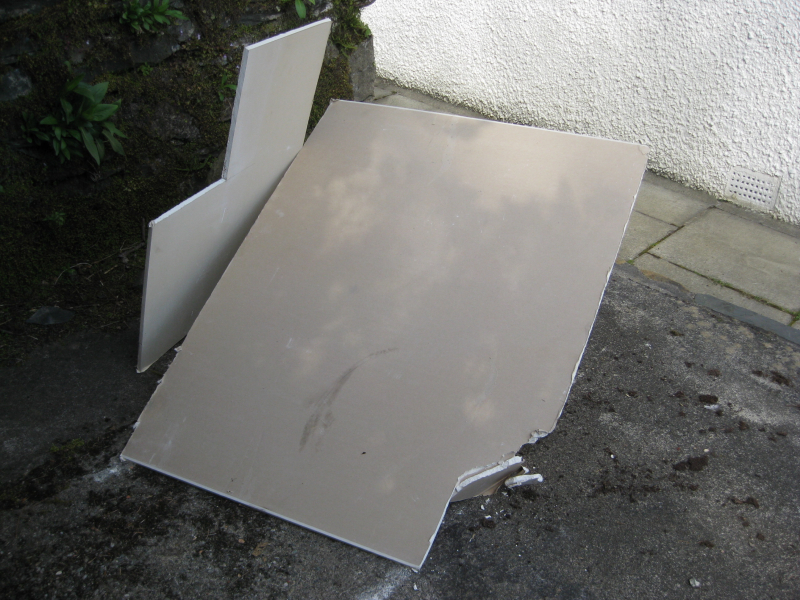 Adding up to about half a full sheet of plasterboard, in two pieces. Left over from a job, but sound. Over 2m wide and many many tens of metres long (probably). 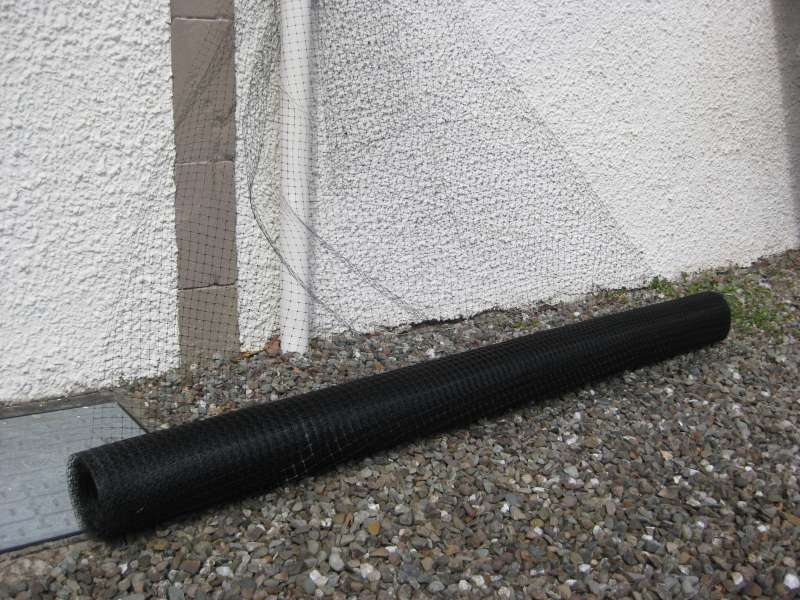 Very strong black plastic netting - suitable for garden use (fruit bush protection?) 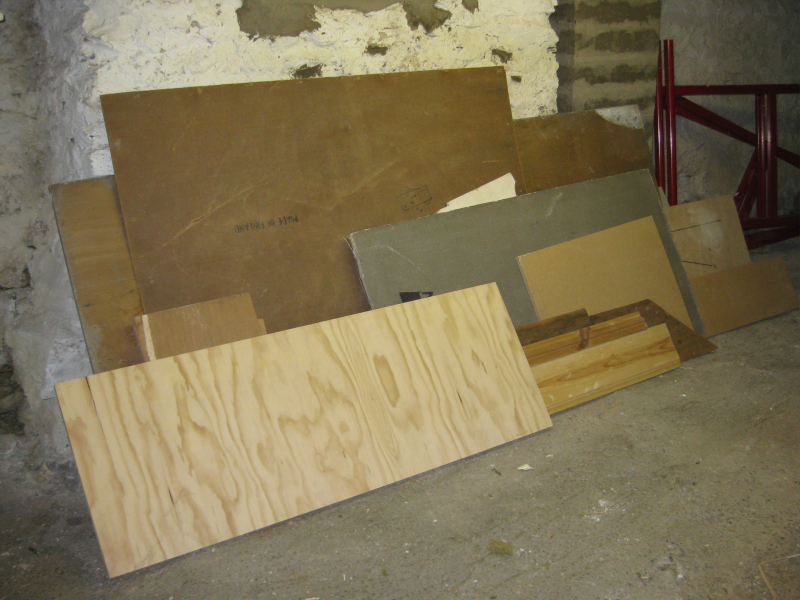 or to support underfloor insulation (our use). Make sure you can get this length in your vehicle. 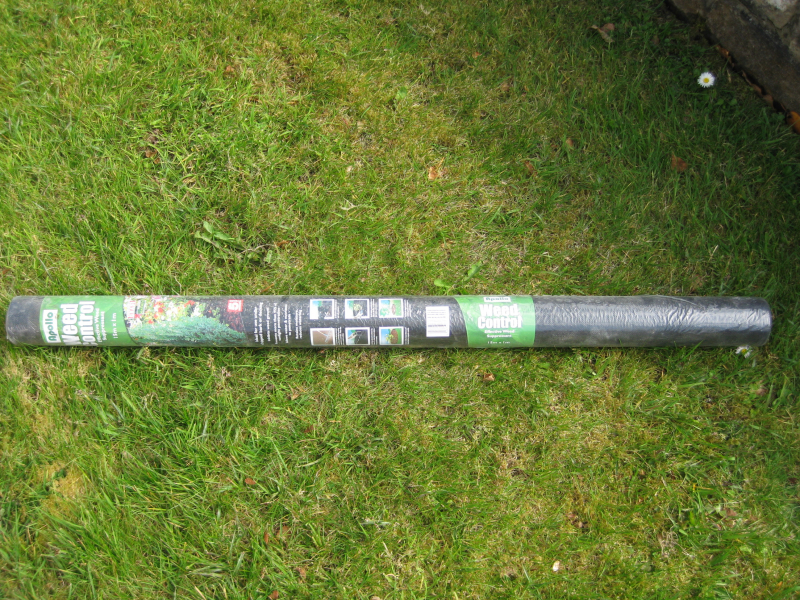 Unused (still in plastic wrap) roll of Apollo Weed Control - effective weed suppressant. Measures 15m x 1m. Says it is ideal for use under chipped bark or decking (or gravel in our case), but allows water and nutrients to penetrate. 5 year guarantee. Builders' wheelbarrow (ie. 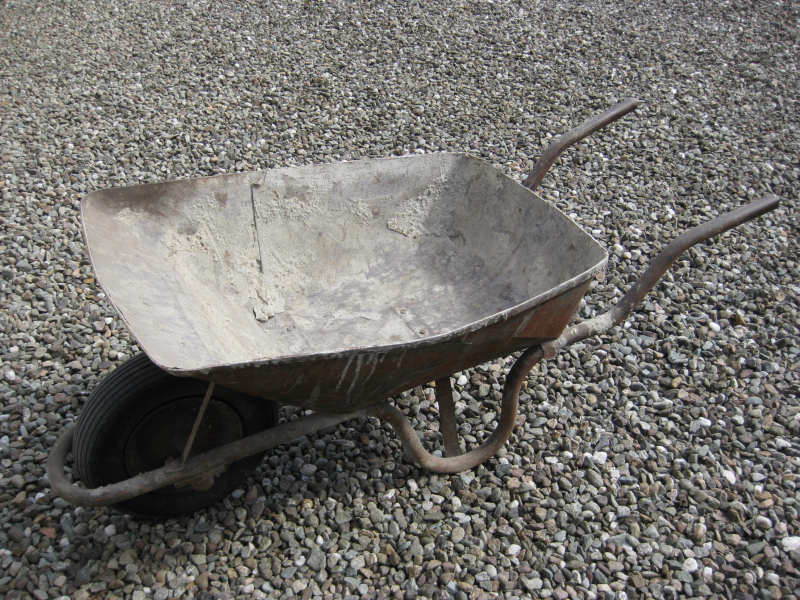 made of strong metal, not plastic), has had a hard life, probably used for mixing cement in, and the front tyre is flat and may need to be replaced, but otherwise sound and will go on for ever and be useful for somebody. If you want it, make sure it will fit in your vehicle.